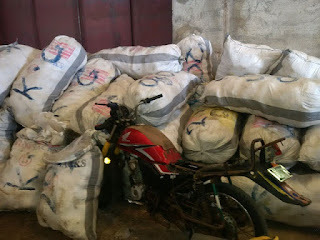 Onepageafrica reports that the command had in February made similar seizure of marijuana with a street value of N150 million, and a suspect arrested. 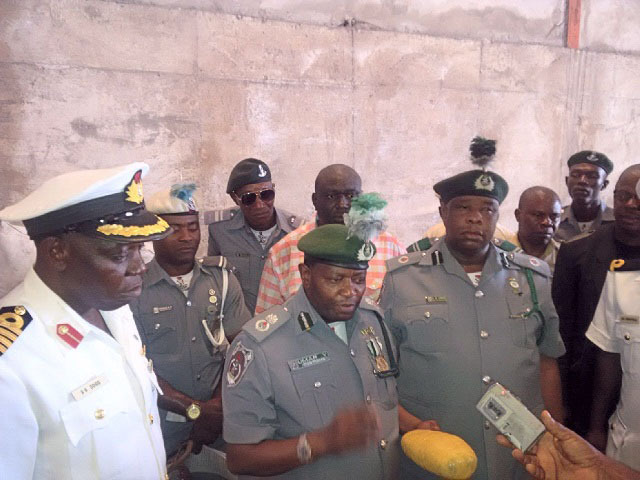 The Customs Area Comptroller (CAC), Mr Umar Yusuf showed newsmen round the seized goods during a joint inspection exercise by the Customs, Navy, and National Drug Law Enforcement Agency (NDLEA). Other agencies on the exercise at the WMC base in Lagos were the National Agency for Food and Drug Administration and Control (NAFDAC), State Security Service (SSS) and the Police. Yusuf told newsmen that operatives of the command at Badagry, while on patrol of the creeks on Thursday at about 2a.m got intelligence report on the intended activity of smugglers in the area, and took action. He said that while monitoring activities within Tanfi Island, the team found a heap of 26 jumbo bales of the contraband packed at the habour and meant to be smuggled into Nigeria. He disclosed that each jumbo bale contained about 100 smaller packs valued at N20, 000 each, while the total number weighed 3750kg. The CAC told newsmen that the customs operatives had to request for support from the Nigerian Navy operations team at Badagry, due to their experience in marine environment. He said that with the reinforcement from the Navy immediately, the joint team mobilized, confiscated the smuggled goods and moved them to the Customs Western Marine jetty in Ibafon. The Area Controller said that although no suspect was apprehended, a motorcycle with Lagos State registration number was found at the scene. Also speaking, Navy Capt. Simon Dogo, the Commanding Officer, Forward Operating Base Badagry, commended the growing synergy between the Navy and Nigeria Customs Service, noting that the collaboration has been yielding results. He said: “The synergy is getting stronger. Our Armed Forces Act mandates us to coordinate the enforcement of Customs Laws.